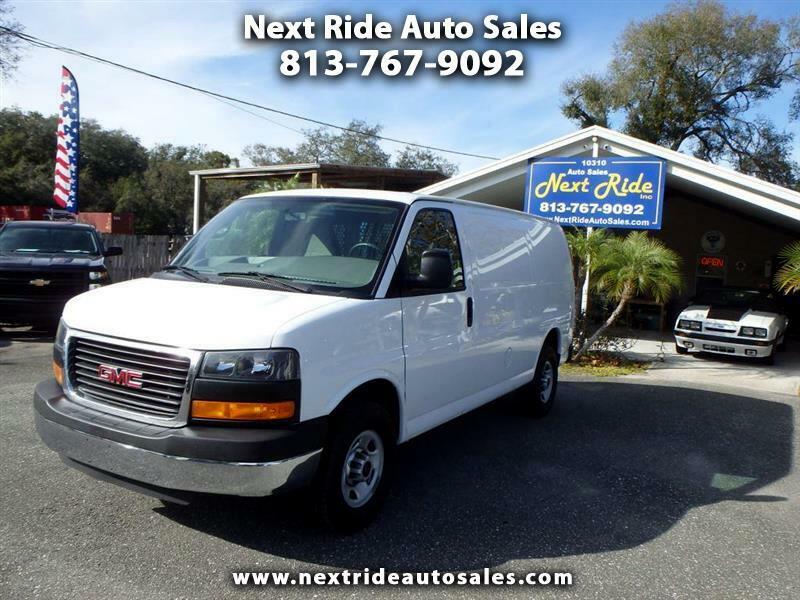 REAL NICE LIKE NEW NO ACCIDENT NO SMOKER FLORIDA 2015 GMC SAVANA 2500 CARGO VAN, WHITE WITH GRAY CLOTH CAPTIAN CHAIRS, 4.8L VORTEC WITH ONLY 76,874 MILES. 2 KEYS, OWNERS MANUAL, TOW PACKAGE WITH HITCH, CHROME BUMPERS AND GRILL, A/C, RDS STEREO WITH IPOD/AUX, CLOCK, STEEL CARGO DIVIDER, WINDOWS IN SIDE AND REAR DOORS, POWER WINDOWS AND LOCKS, TILT, CRUISE, DIGITAL INFO CENTER, 2 POWER PORTS, 1 AC 120V PORT, TRACTION CONTROL, LT245/75/16 BF GOODRICH TIRES ABOUT 80%. VERY WELL MAINTAINED VAN LOOKS AND RUNS GREAT!